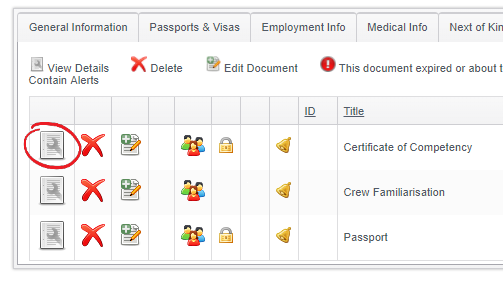 In addition to viewing Crew Documents in the Document Management tab, as shown here, you can also view a single crewmembers documents straight from their profile page. This will show all documents that have been uploaded to their profile. You will be able to download the attachment by clicking on the blue hyperlink and also see more information about a document by clicking the 'view details' icon on the left hand side of the screen. If you have sufficient permissions you may also be able to edit these documents. To do this click on the edit button. 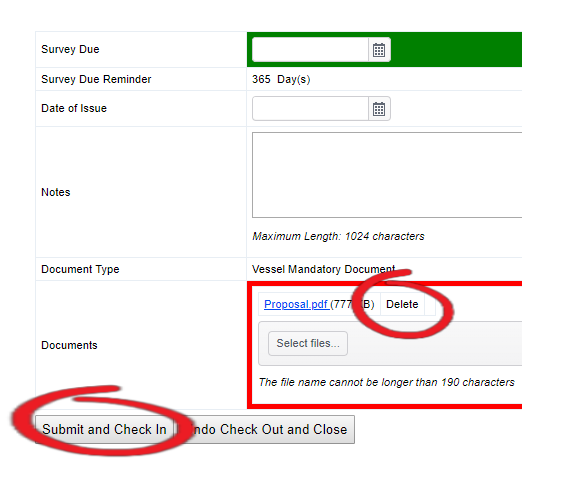 You can then amend the document dates, delete the existing attachment, and add the new document. Once amended click 'Submit and Check In'. 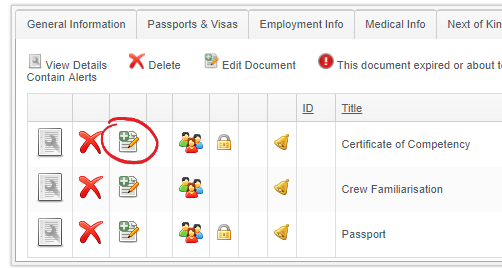 Pro Tip: You can also see any documents that are required but currently missing by clicking on the 'Missing Documents Tab' and, subject to the correct permissions, will be able to add them.